Hi! I am genuinely excited that you are here! To me everything I do is about relationships, so let me give you a chance to get to know me a little better. My business is helping people get real results on social media through effective strategy and content. Whether I am speaking on stage, working with clients one-on-one, or training in a group it is all about personal connection and measurable results. I am also the author of the upcoming book What to Post - a book all about the ins and outs of daily content creation that doesn't take your whole day. My most important job of all is Mom to my three boys, ages 7, 8, and 9. We love to run 5k races for great causes, bake cookies, and play. You might also find me in my garden or sipping a nice cup of tea. I love doing interviews! It is such a fun way to meet new people and share some of what I know! Here are just a few of the dozens of interviews I have done so you can enjoy them too! In addition to my blogs and articles published on LinkedIn Pulse, here are a couple other articles by yours truly that you may find beneficial. I am also a regular contributor to the Agorapulse blog. 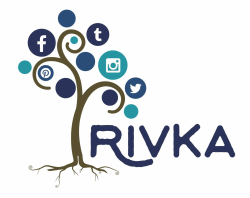 "Rivka Kawano is my media team! She shares her wealth of business, promotional, and technological expertise tailored for writers in her value-added classes. Her personable webinars give me a chance to get immediate answers, and her one-on-one phone consultations have helped me plot my future as an active writer and speaker in need of promotional assistance. She analyzed my web site and made numerous suggestions for improvement, and is always quick to say, "Let me know if you need any more help." There's still much I don't know about online promotion but it no longer worries me. I have Rivka."